The genomic revolution has transformed our understanding of urinary tract infection. There has been a paradigm shift from the dogmatic statement that urine is sterile in healthy people, as we are becoming forever more familiar with the knowledge that bacterial communities exist within the urinary tracts of healthy people. Metagenomics can investigate the broad populations of microbial communities, analysing all the DNA present within a sample, providing comprehensive data regarding the state of the microenvironment of a patient’s urinary tract. This permits medical practitioners to more accurately target organisms that may be responsible for disease—a form of ‘precision medicine’. This paper is derived from an extensive review and analysis of the available literature on the topic of metagenomic sequencing in urological science, using the PubMed search engine. The search yielded a total of 406 results, and manual selection of appropriate papers was subsequently performed. Only one randomised clinical trial comparing metagenomic sequencing to standard culture and sensitivity in the arena of urinary tract infection was found. 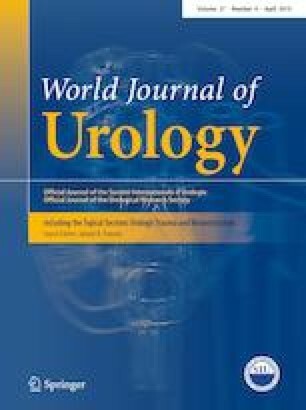 Out of this process, this paper explores the limitations of traditional methods of culture and sensitivity and delves into the recent studies involving new high-throughput genomic technologies in urological basic and clinical research, demonstrating the advances made in the urinary microbiome in its entire spectrum of pathogens and the first attempts of clinical implementation in several areas of urology. Finally, this paper discusses the challenges that must be overcome for such technology to become widely used in clinical practice. The authors would like to thank Jennifer White, M.S., MB(ASCP)cm for her excellent technical assistance and thorough description of metagenomics and Next Generation Sequence technologies. M Dixon: manuscript writing/editing. M Stefil: manuscript writing/editing. M McDonald: principal investigator of clinical trial; interpretation of NGS results; manuscript writing/editing. TE Bjerklund Johansen: diagnostic results analysis; manuscript writing/editing. K Naber: diagnostic results analysis; manuscript writing/editing. F Wagenlehner: diagnostic results analysis; manuscript writing/editing. V Mouraviev: project development; interpretation of NGS results; manuscript writing/editing. Dr Mouraviev is a consultant for MicroGenDX.